The Keble College Big Band is for those people who prefer their jazz. In the past it has performed regularly in and out of college to a very good standard. 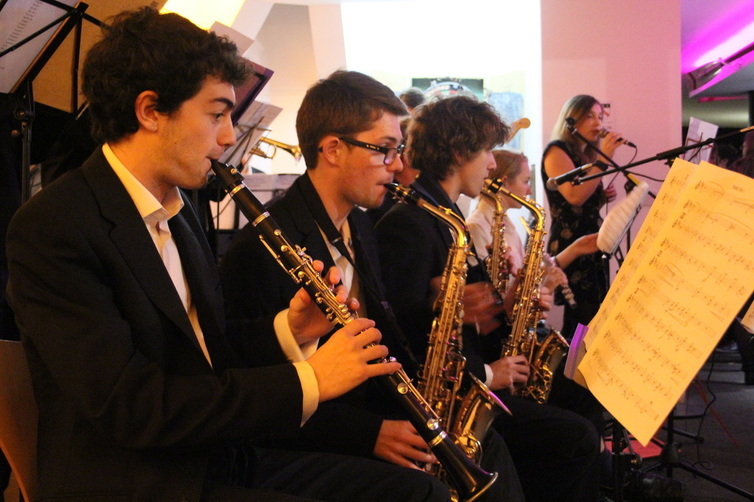 Highlights include the very popular Hilary term Evening of Jazz, in which smaller jazz groups and soloists performed alongside the Big Band, and appearances at occasions such as Halfway Hall and in Freshers' Week. Sadly, the Big Band came to an end last year but KCMS would love to resurrect it. If you are interested in running the ensemble or taking part, please email Vennie Iga or Thomas Player.